JyothishaDeepthi Panchangam English Astrology Android App Basic. A complete suite of Astrological Software for Astrologers, Astrological Researchers & Students, Hobbyists. 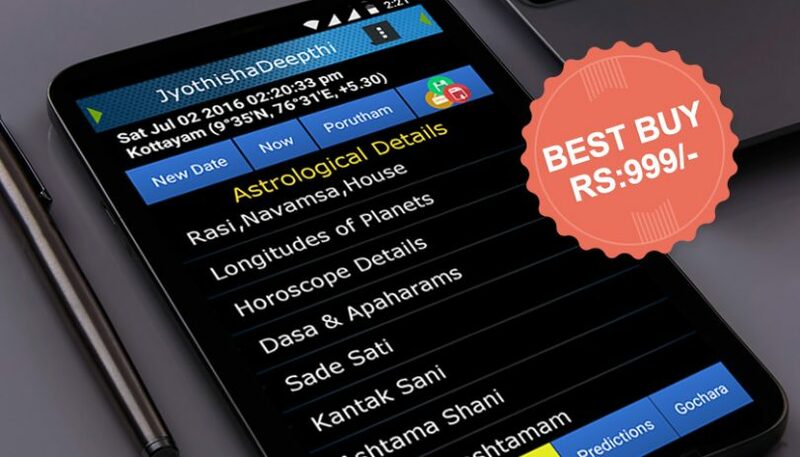 Android application of jyothishaDeepthi Panchangam Astrology software in English Language, The software includes all the important and most relevant features.